The girls gymnastics team performs during halftime at Sheldon homecoming on Friday. 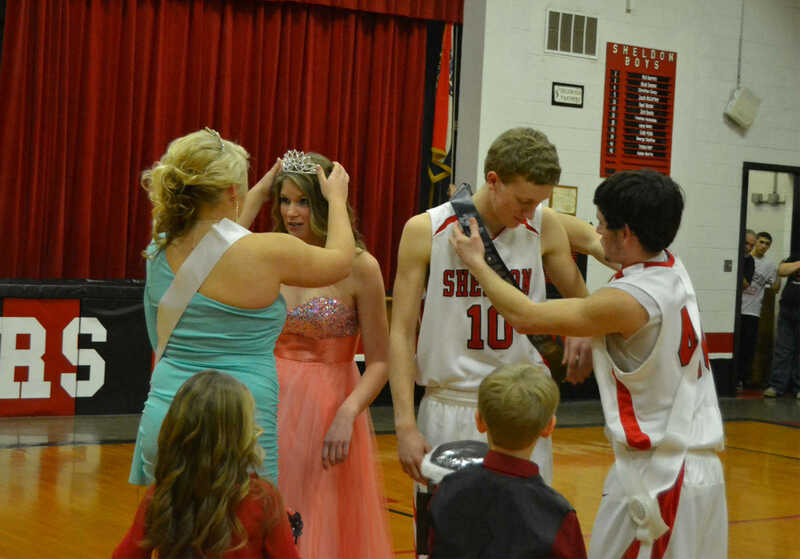 From left, Melissa Handle escorted by Cody Hicks, Morgan Compton escorted by Reed Worsley, Chelsey Goodwin escorted by Corey Baney and Beth Spencer escorted by Trenton Heckadon pose as Sheldon homecoming court. 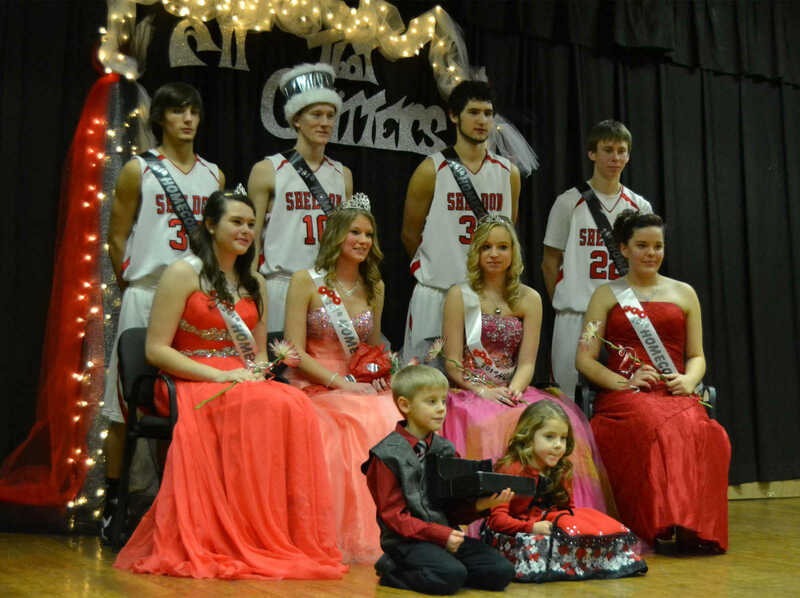 Coronation carriers Bardy Swink and Rylee Goodwin sit at front. 2013 queen Destiny Shelton crowns Morgan Compton Sheldon homecoming queen. 2013 king Tristan Hart sashes Reed Worsley Sheldon homecoming king. Coronation carriers Brady Swink and Rylee Goodwin stand at front. 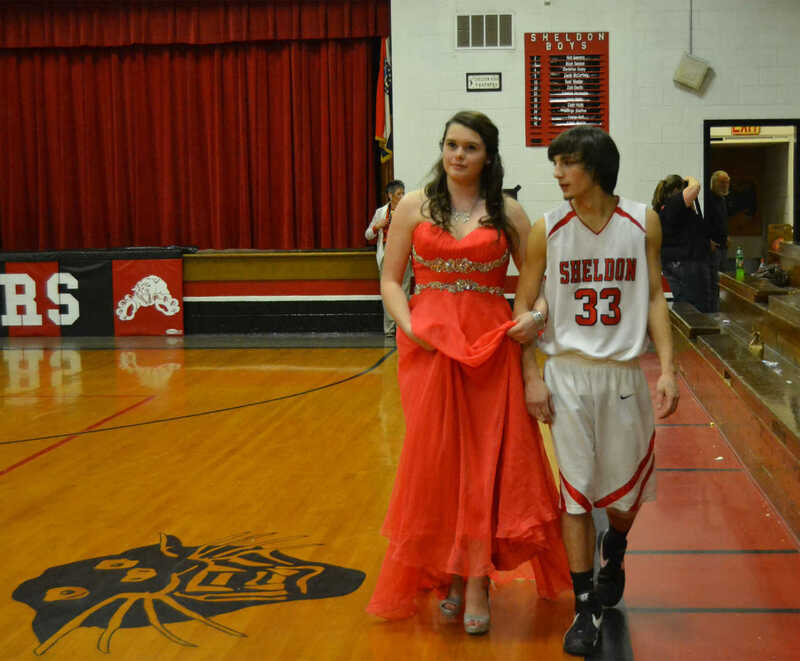 Melissa Handle escorted by Cody Hicks walk the gym during the Sheldon homecoming ceremony.